Kicking off the season fittingly, the first game of the year will be against the New York Giants in prime time Sunday night football. The Dallas Cowboys are coming off a season in which they enjoyed a 13-3 regular season record, one game behind the Patriots for the best record in the league. Led by a second year QB poised beyond his years in Dak Prescott who is WR Dez Bryant and a dominant offensive line, the Cowboys hope to build on their success in 2017-2018. They will look to continue to pound the rock without Ezekiel Elliot for the first 6 games of the season due to a suspension. Sean Lee who led the team in tackles is the head of a stout defense. 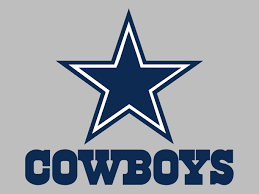 There is a buzz around the NFL that the Cowboys will return to Super Bowl LII! Get your Cowboy Tickets here! New Orleans Saints vs. Dallas Cowboys 9/29/19 4 Seats! Plaza Level! 4 Dallas Cowboys vs Texans tickets! Field Level 7 Rows from field! 2 Dallas Cowboys vs Giants tickets 4TH ROW FROM FIELD AISLE SEATS!